We are the most trusted name amongst the topmost companies in this business, instrumental in presenting Pathological Microscope. Incorporating everything needed to fully concentrate on the surgery. For best results. Every day. Keeping the diverse requirements of our customers in mind, we are engaged in offering Auto Lensmeter. 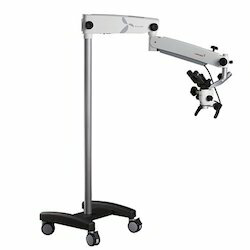 Our company provides a wide assortment of Operating Microscope. This Operating Microscope is a medical optical that is designed to be used in a surgical setting, usually to perform microsurgery. Also, the efficient and hassle free functioning of our Operating Microscope satisfy the clients most. Manual Lensometer combines the traditional features you would expect, with innovative advantages, such as LED illumination and cord-free battery power.